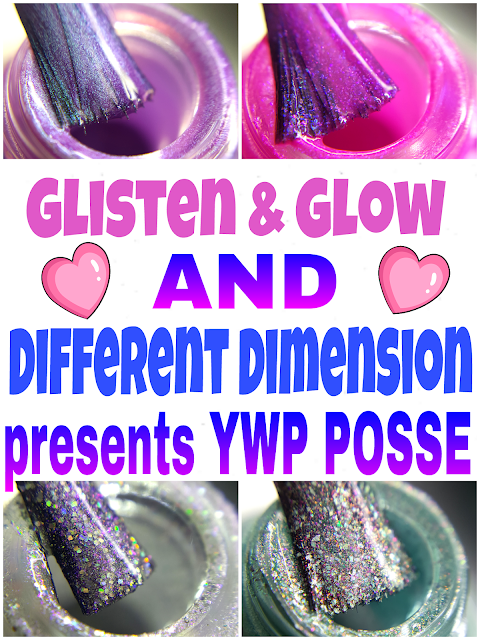 GLISTEN & GLOW AND DIFFERENT DIMENSION PRESENT THE YWP POSSE QUAD! Hi there, my darlings!! Oh man, I am SO exhausted today, it has been a long day for yours truly, but more on that later. 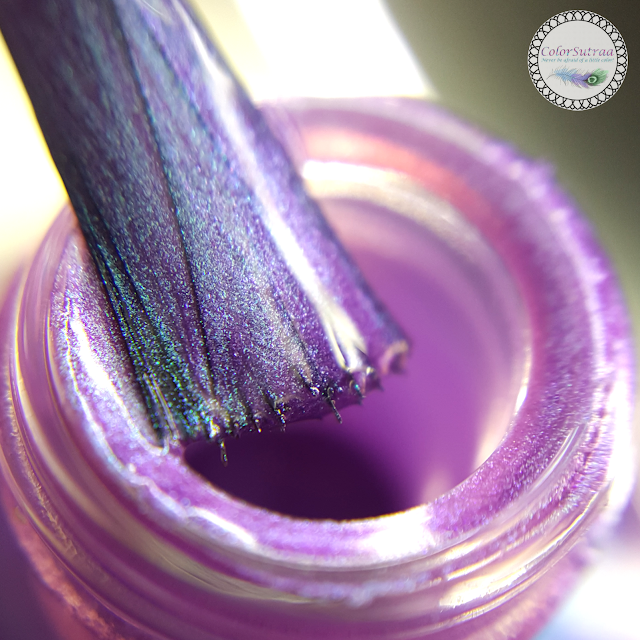 Because despite my exhaustion, I'm also SUPER excited about today's post! Since moving to Canada, I've had the opportunity to reconnect with some of my fave indies and today, oh today, is a special day! 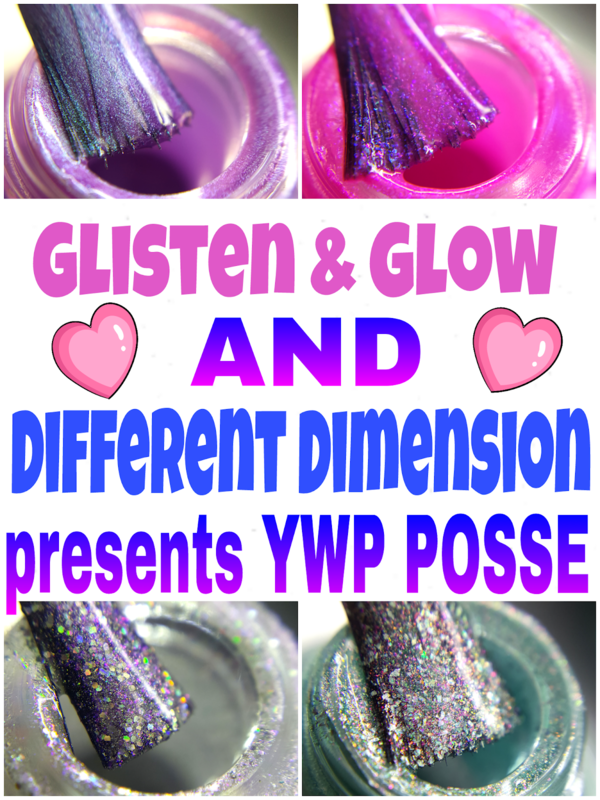 Two of my very favorite indie makers, Jill of Glisten & Glow and Missi of Different Dimension has teamed up with popular Youtuber, Nicole of Young, Wild and Polished to present YWP Posse, a quad of polishes you DO NOT want to miss! Just take a look! Cam Fam from Different Dimension is described as "purple to mint blue duochrome shimmer polish". 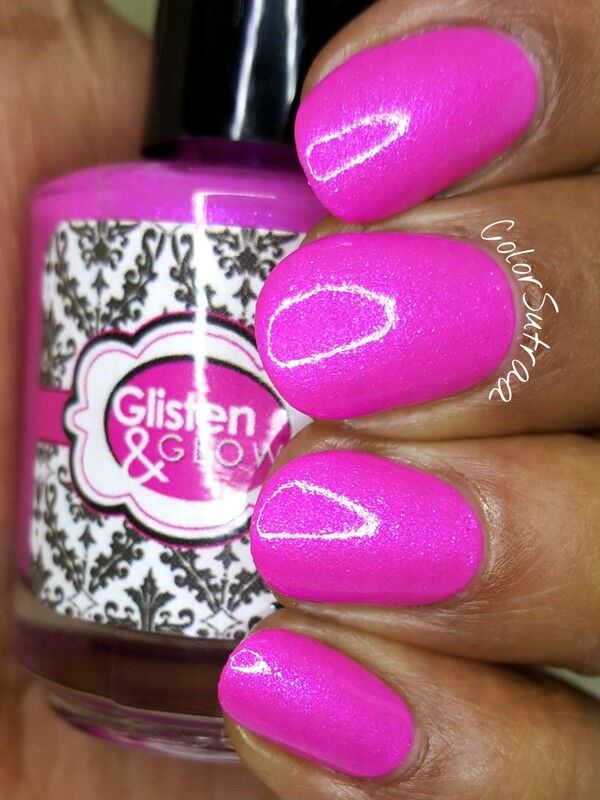 Two easy coats for full opacity, topped with 1 thin coat of Glisten & Glow's Top Coat. The shimmer in this baby is TO DIE FOR! 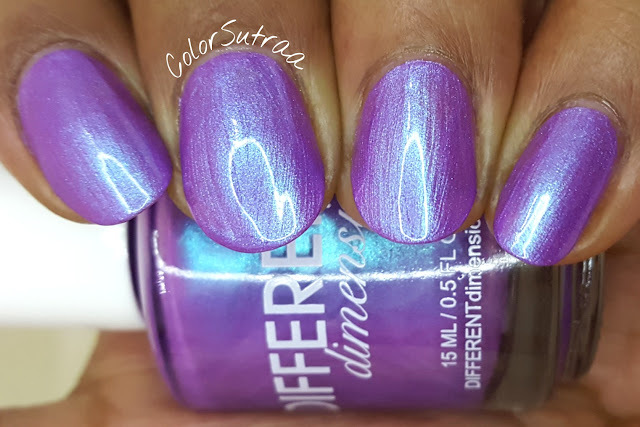 If you love duochromes, and who doesn't, you will love this one! 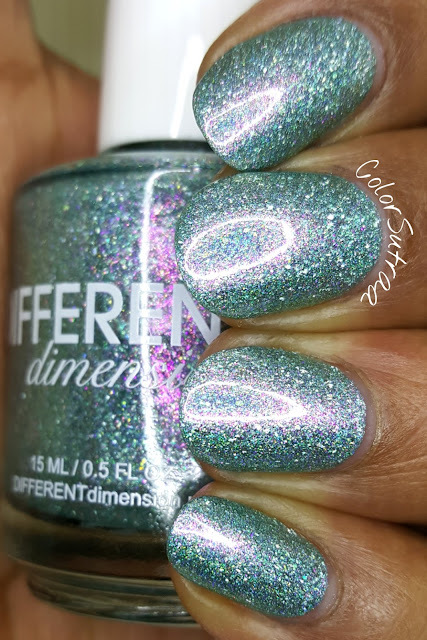 Topaz In A Bottle from Different Dimension is described as "light turquoise linear holographic polish with added shimmers that reflect light to create an iridescent effect". You don't need more than two coats for full opacity but I added a third to up the bling factor and as always, topped with 1 coat of Glisten & Glow's Top Coat. 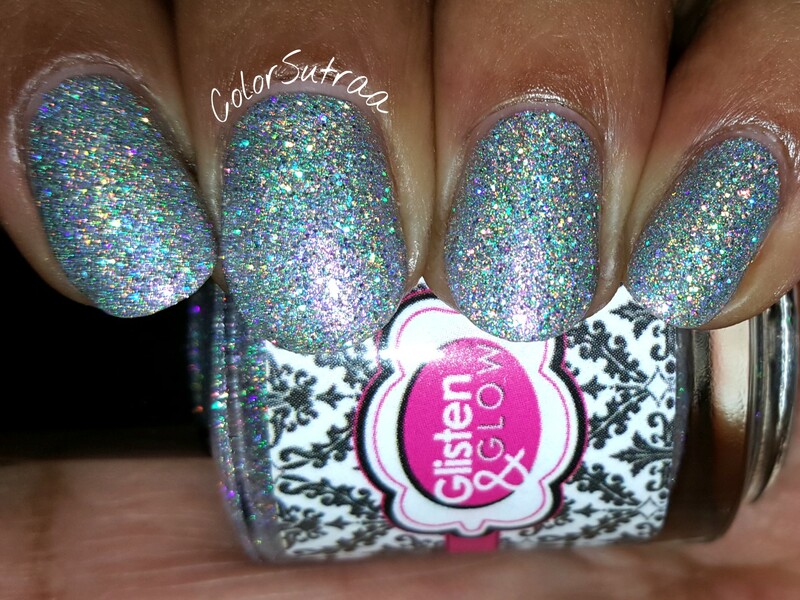 A truly magical polish, especially with that iridescent effect! Young Wild and Pink from Glisten & Glow is described as "bright pink polish loaded with blue, pink and purple shimmers and flakes that create that beautiful glow". 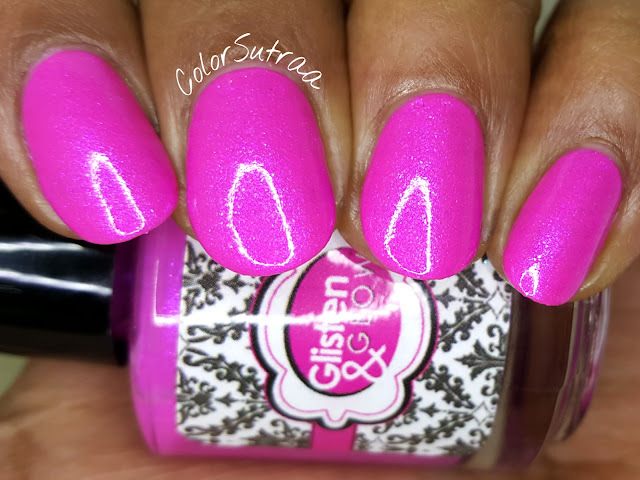 Two smooth coats that applied beautifully for full opacity, topped with 1 coat of Glisten & Glow's Top Coat.Let me just tell you, this is one gorgeous hot pink that I did NOT want to take off! 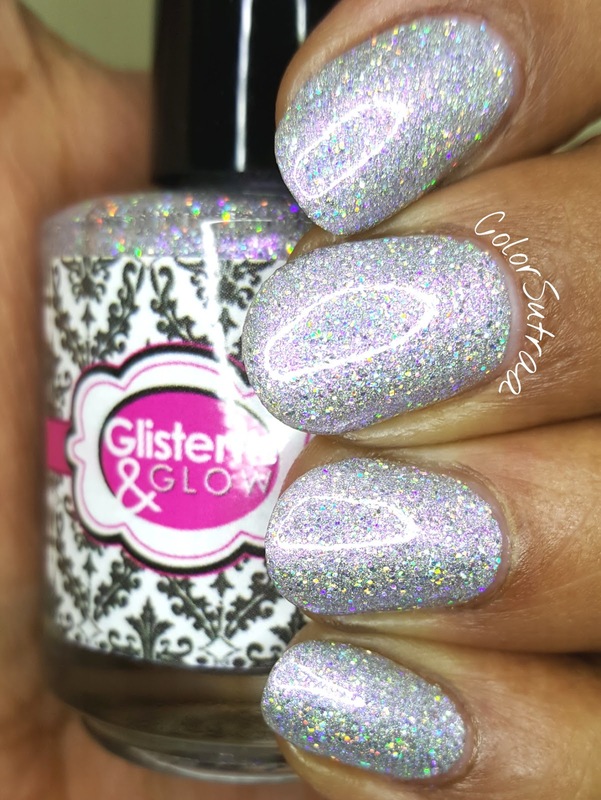 Young Wild and Pink from Glisten & Glow is described as "bright and blingy silver galaxy holo microglitter polish loaded with tons of violet shimmer for that pop of color!". Two generous coats for full opacity, topped with 1 coat of Glisten & Glow's Top Coat. 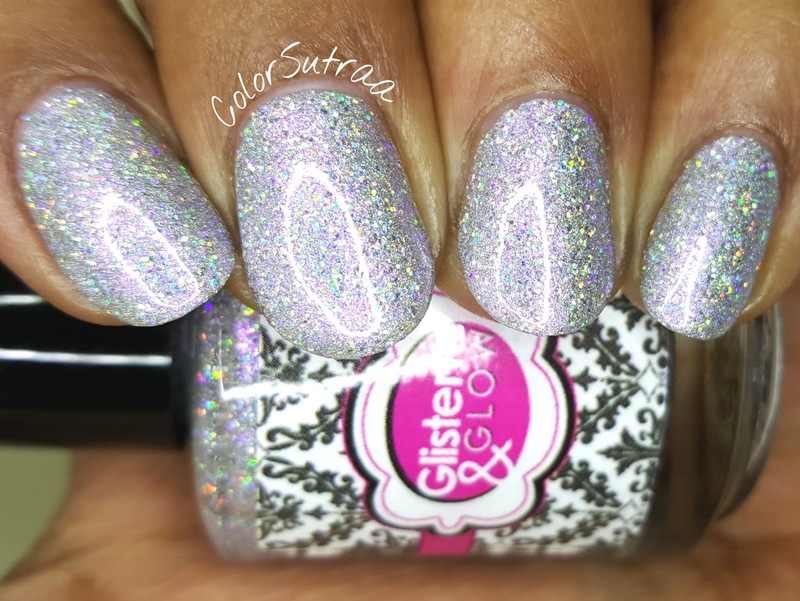 The holo bling in this beauty is OFF THE CHARTS! 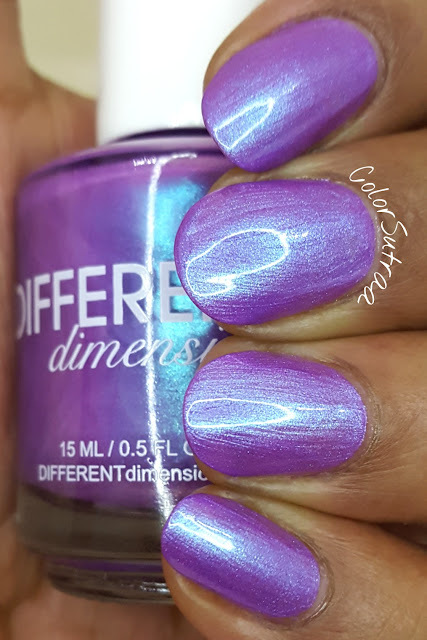 Plus the violet shimmer just takes it to another level--definitely not your ordinary silver holo! So there you have it, my darlings! 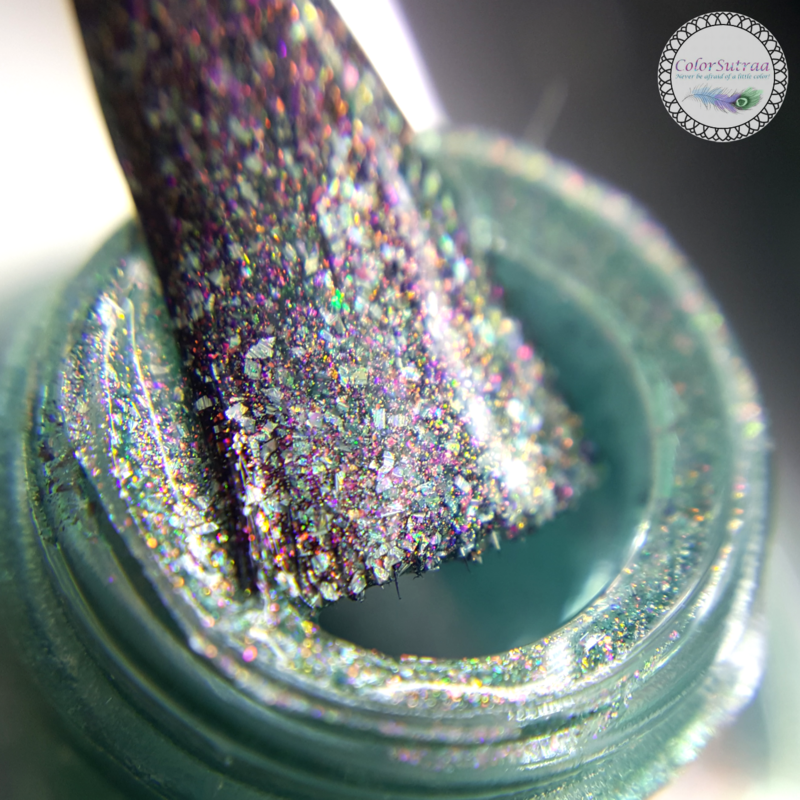 The YWP Posse quad in collaboration with Nicole of Young, Wild and Polished will be officially launching on tomorrow, April 13th at 7 pm EDT on BOTH Jill's site HERE and Missi's site HERE. These 4 gorgeous polishes are only available as a set (quad) for $45--there is a code for FREE domestic shipping YWPSHIP or customers may use code YWP for 10% their orders (coupon codes cannot be combined). There are only a limited number of these limited edition quads available and these polishes will NOT be sold separately. Set your alarms, my darlings, cos you do not want to miss out on these babies! Which of these are your faves? Tell me in the comments section below! i love Cam Fam and Topaz In A Bottle! I totally understand why you are so excited. these are gorgeous. I especially like Cam Fam. Wow. I want Cam Fam and Topaz in a bottle! Cam Fam is so pretty! I want it! Oh my, these are all beautiful but I LOVE Cam Fam! Wow those are pretty! 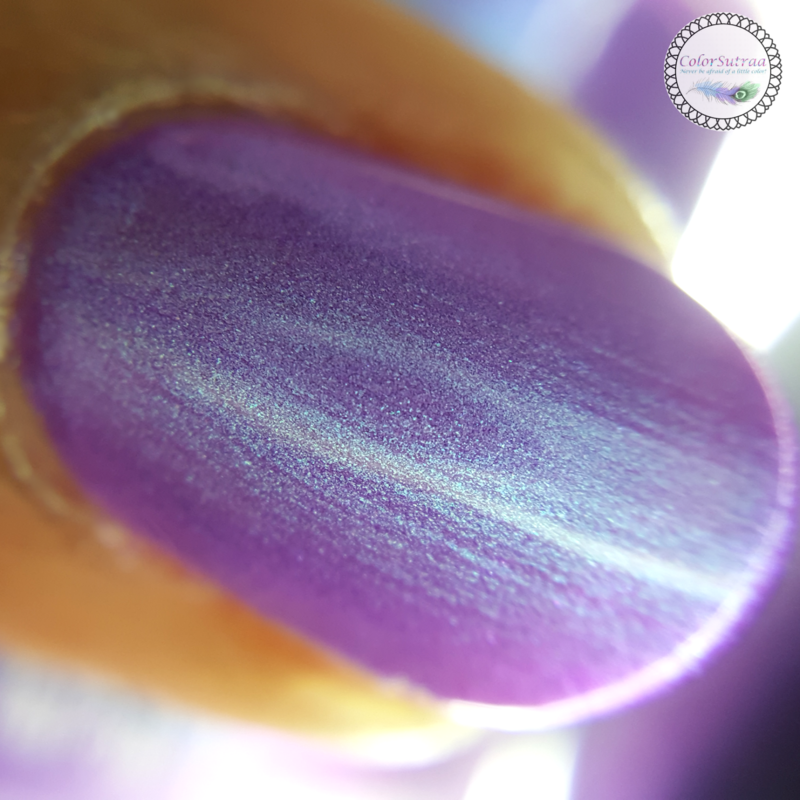 I love your macro shots! 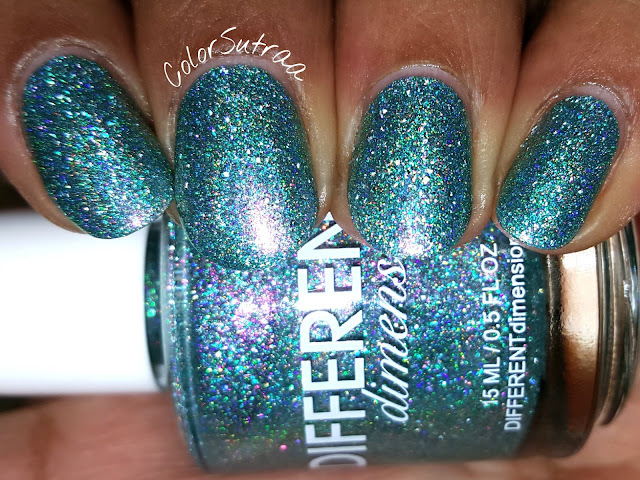 What beautiful polishes! 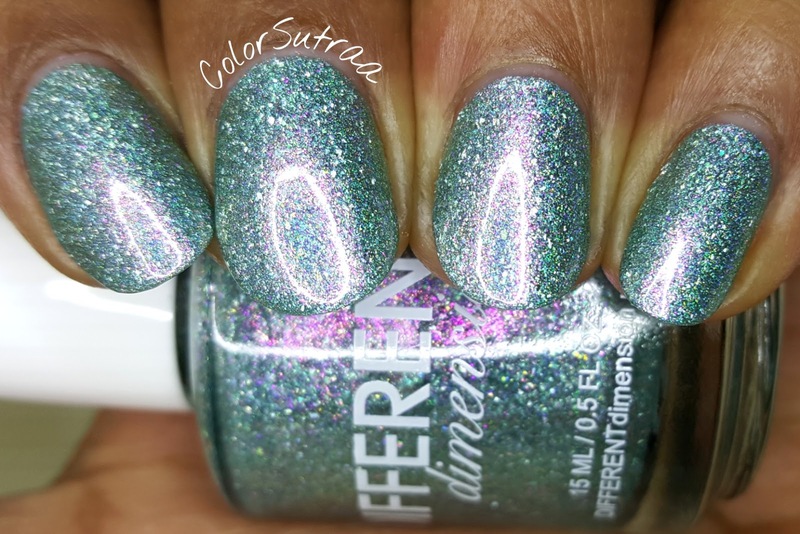 I like every single one of them, and your swatches are really first rate! GLOW UP WITH MODEL'S OWN!! !